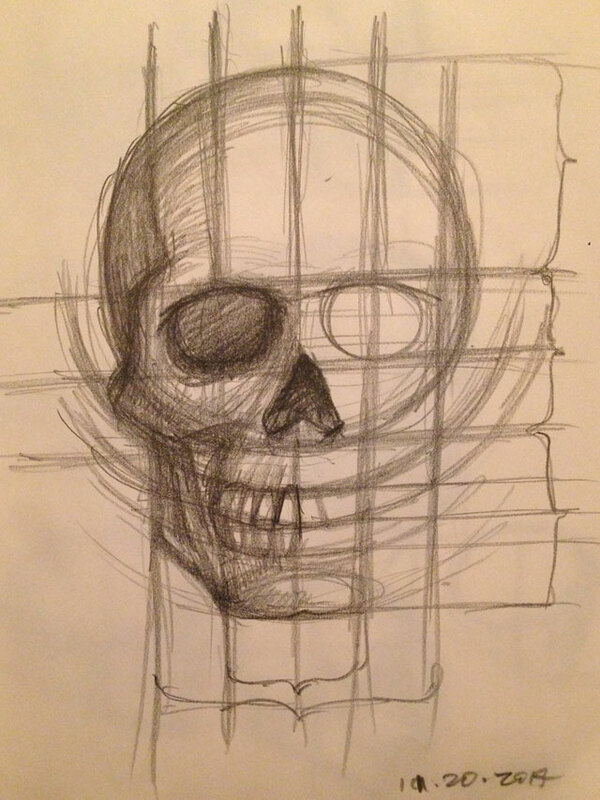 Skull Proportion Studies cartoon sketch for today’s Daily Sketch. 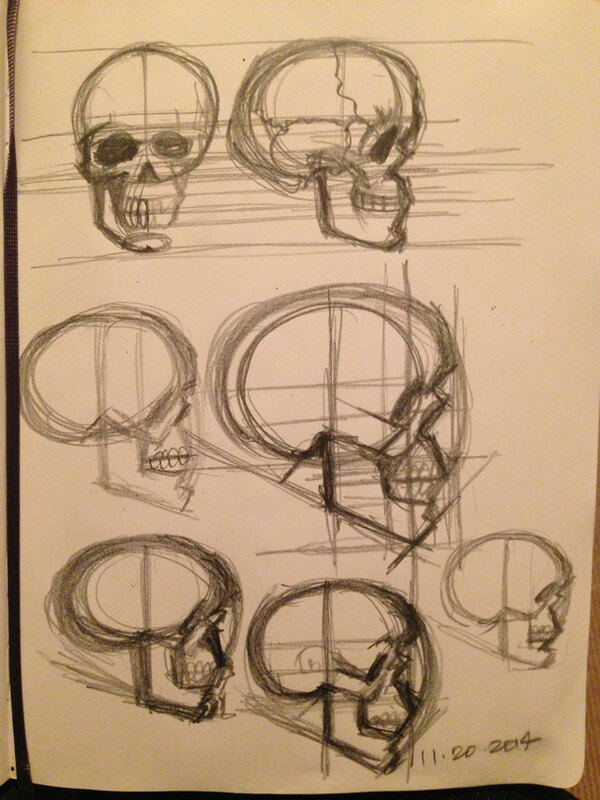 Working with understanding the proportions, ratios and structure of the human skull. The recent “monsters and creatures” series relied heavily on exaggerating the skull, and I wanted to dig in a bit deeper with my understanding of skulls.